Pioneers in the industry, we offer ac drive panel for building construction from India. Our firm is an extremely well known name of the business for manufacturing and supplying heavenly quality AC Drive Panel for Building Construction that is utilized where obliges a tremendous measure of force supply and broadly requested in refineries, force plants & sugar businesses. In the manufacturing methodology of this drive board, we just utilize best-in-class quality parts and dynamic innovation in pair to the business set guidelines. Furthermore, we give this drive board at practical cost to our benefactors. We only want North Eastern, Bihar, Odhisa, Jharkhand, Chattisgarh Enquiries. 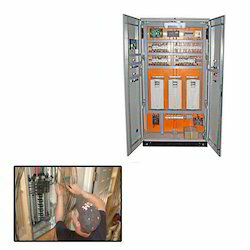 Looking for AC Drive Panel for Building Construction ?